Sep. 24 Update: We’re under contract in just six days on this North Ridge home! I can’t wait to show you around 7101 Tanbark Way. This home is not going to stay on the market long! Not only does it have an AMAZING location that is close to everything, but the home is also full of great upgrades and renovations. Inside this beautifully renovated house, you will find a brand new kitchen with a breakfast bar and granite countertops. If an open concept is what you are looking for you will love the kitchen and living area. Enjoy gorgeous hardwood floors throughout and new windows. 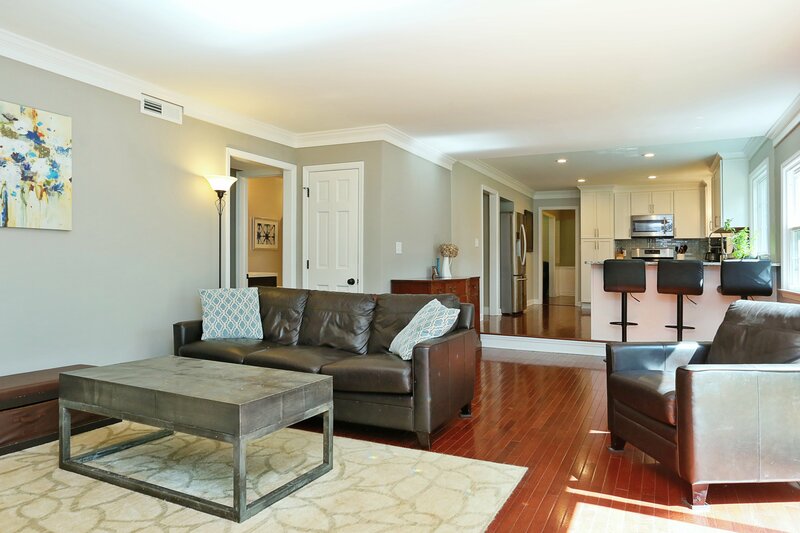 Hang out in the formal living room or host a dinner party in the formal dining room. There is also crown molding throughout the first floor. In addition to the new paint on the outside, there is new siding as well. The owners put in a new roof in 2017 and there is also a large two-car garage with a shop room. Like to entertain? 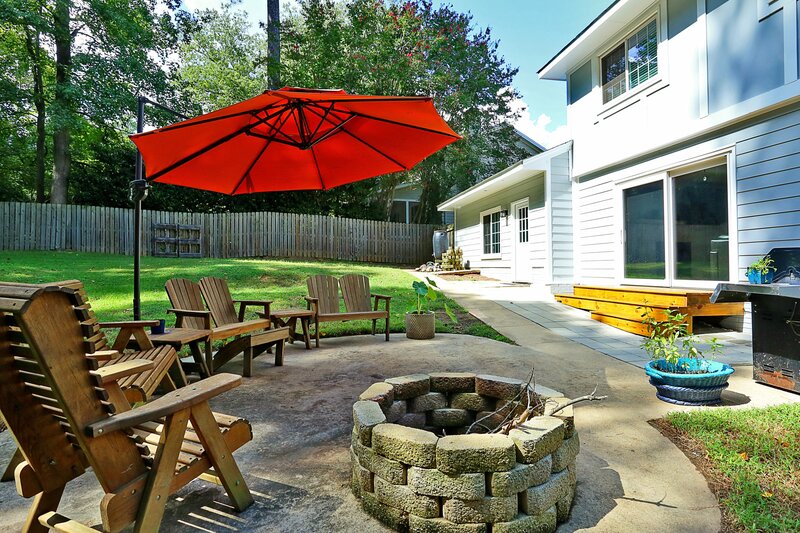 You are going to love having friends and family over to enjoy the outdoor patio! Have children in grade school? You will love being zoned for North Ridge for elementary school, West Millbrook for middle school, and Millbrook for high school. School assignments are subject to change. Visit WCPSS.net for the most up to date information. 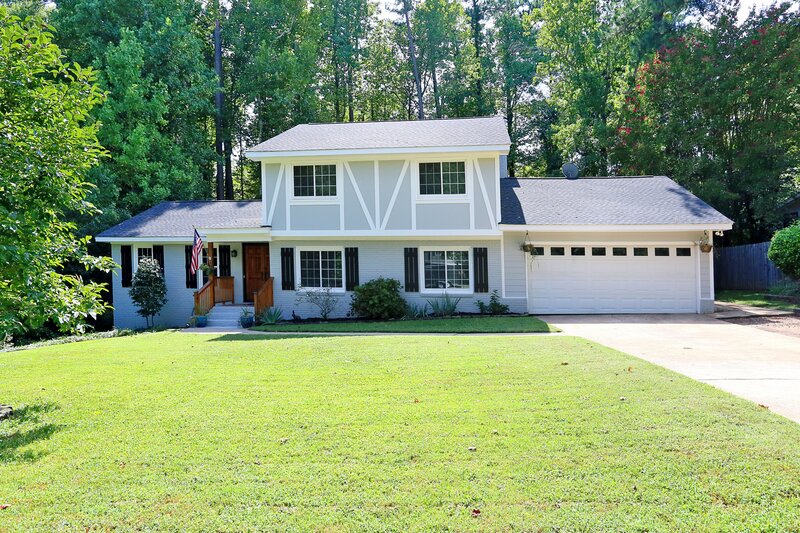 Don’t miss the chance to call this house your home. With over 2,400 living square feet and a price tag of $409,900, houses like this do not come around often! Please contact me today to schedule your showing: Ryan@HudsonResidential.com or 919-438-0548.